This is quiet simply the most unique and complicated timepiece ever made. The Henry Graves’ Patek Philippe Supercomplication represents the pinacle of watchmaking, featuring 24 complications, twenty-four. It took 7 years to develop, starting in 1925, no computer involved in the process. It weights around 500 grams and 70mm in diameter. It’s been previously sold in 1999, for a staggering $11’000’000. 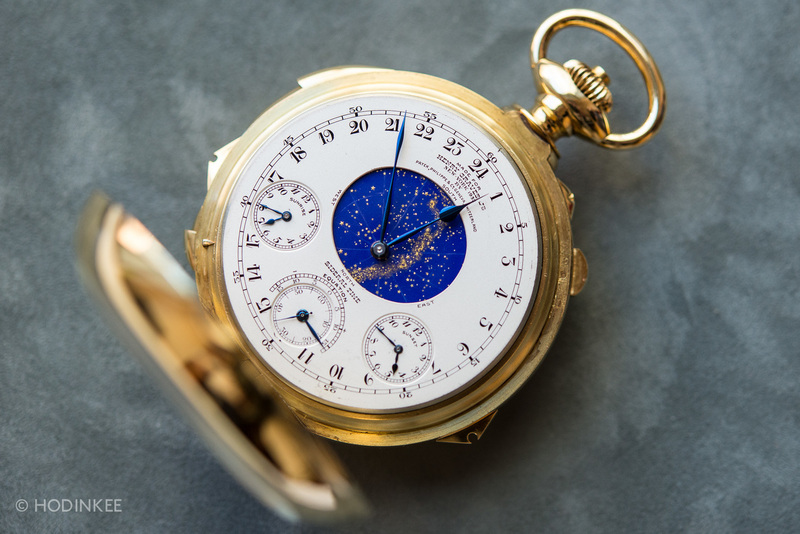 Today, on November 11th, 2014, Sotheby’s will be making history, again, by auctioning the most important watch ever made. The Apple Watch: What Does It Mean For the Swiss Watch Industry ? In short, the Apple WATCH means nothing to Swiss manufactures. If smartwatches were ever to totally supplant traditional mechanical watches, I believe it would be a sign of something much more momentous: a large-scale abandonment of the luxurious and the artisanal in favor of the mass-market and the utilitarian. And somehow that is difficult to imagine. Une précision immuable et parfaitement maîtrisée, le rêve de tout horloger. Mais ce rêve est inéluctablement interrompu par la réalité. De nombreuses forces naturelles affectent la précision d’une montre, et parmi ces forces toutes puissantes, il en est une capable de maintenir les planètes en orbite et de tenir l’univers tout entier en place: la gravité.